London has always been a city that lives and breathes film, theatre, the arts and all other forms of creativity.Culture is at the very heart of London, and we have some of the finest museums, art galleries, theatres and cinemas in the world. People often travel to London with the sole intention of taking in a show at the West End or visiting the Tate Modern gallery. Without a doubt, Londoners are consumers of art in all mediums. However, the creative works don’t just appear out of thin air. An incredible amount of work goes into some like a completed film. And for every film production company in London, that also means setting and meeting strict deadlines. Time is the most valuable commodity in the film industry. Moving to a new house or apartment takes a lot of organising and planning, even if you’re moving from one area of London to another. The best way to keep a level-head is to start as early as possible to give yourself plenty of time. Then, if any issues arise you while you’re organising your relocation, you have more than enough time to problem solve. And for this reason, it’s essential that you book a reliable removals company. If you’re planning your next relocation in London, it pays to start planning your move as early as possible. Even if you don’t have a set moving date, you can start looking around for a reliable removals company now. You’ll thank yourself when your relocation goes smoothly because you choose the right company. A decent company will also be an asset when it comes to organising your move. One of the positive signs that you’re dealing with a reputable removals company is the range of services they can offer. 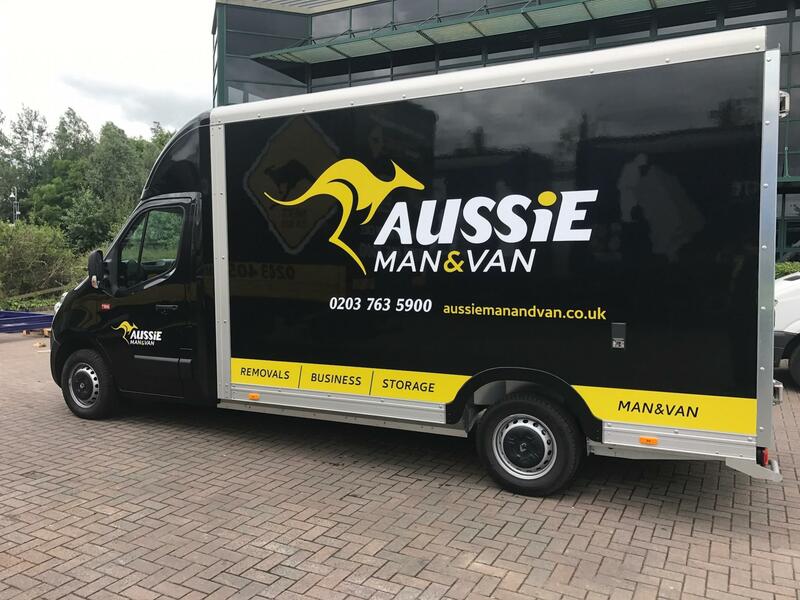 A removals company in London like Aussie will have a fleet of different vehicles available, as well as a decent amount of team members. If they do, you will have a better chance of booking on the date you require. Moreover, you’ll have a better choice of vehicles to make sure you receive the right service for your needs. One of the main reasons why people use the Tube and other forms of transport in London is the traffic. Most people know what the main congestion times are. However, that doesn’t mean you can avoid things like roadworks or road accidents. This is where Aussie Man & Van service comes in handy. If any unexpected situations happen on the day of the move, no problem. Our team can utilise their knowledge of London with their satnav to change the route. The smaller vans are better for dense traffic and rerouting by using side roads and quieter areas. It’s also much easier to load and offload in condensed areas with narrow roads. If you happen to live in one of the busier parts of London with limited parking, it might be tricky to use a large vehicle for your relocation. However, the Man & Van vehicles have no problems with parking or loading. We will send two of our highly trained Aussie employees to assist you with your move. Everyone that works for Aussie is experts in removals and storage. If you need assistance with packing, they will have plenty of supplies ready. They will pack and transport your possessions to ensure there is no damage in transit. The rates for our Man & Van service are affordable. Unlike most similar services in London, we only charge our customers by the hour. That means you only pay for the time you use. No two moves are the same. For moves from houses with lots of rooms, the larger vehicles are often the best choice. If you can get all your possessions into one large vehicle, the move can be made in one go. It also depends on what sort of things we will be moving. If you have a lot of bulky and heavy furniture, the Man & Van service wouldn’t be suitable. We will assess your relocation and will advise which is cheaper or more efficient option. You might pay slightly more for a larger vehicle, but you could save more time by doing in one journey. However, if you’re belongings are relatively small, it might work out cheaper to use the Man & Van vehicles. Another advantage of using the larger vehicles is the amount of Aussie team members we can allocate. For extensive relocations, we will match the right vehicle for the job, in addition to the correct amount of people. Customers relocating outside of London often use the larger vehicles. In this instance, it’s not feasible to make multiple trips. No matter what your situation is, we will provide you with various options to make sure you receive the service you need. The Aussie team takes on every job on an individual basis. This is the only way to match the right services with the needs of each customer. We will assign an expert team member to assess your relocation in detail. You will only ever pay for the services you use, and all quotes are transparent. 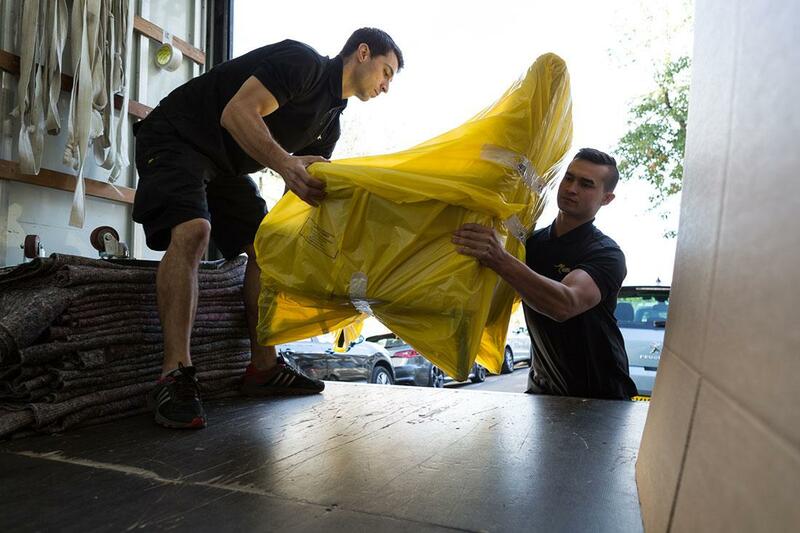 Every Aussie team member is experts in removals and storage, and often come with experience in various trades. We know every area in London, and we put this to use for each relocation job. If there are roadworks, we plan a route to avoid it. Everything is agreed in advance with our clients. Our team turn up and finish on time. Aussie is London’s ‘can-do’ company, and our customer service is our primary focus. Everything stems from working out what each customer needs and matching it with one or more of our services. Contact us today, and we’ll discuss your upcoming relocation in London. For a lot of people, London can represent a way of life. It can be high-octane, full of vibrant nightlife juxtapose with long hours in the office. There are some who wine and dine in London’s most elegant restaurant and high-end wine bars. Other dress to impress and hit the West End in their best attire. However, sometimes our circumstances change. And for whatever reason, we find that we need to relocate. For anyone who runs a company that uses a work’s vehicle, it’s crucial to meet targets and deadlines. A wasted hour can affect the entire week, especially if that means you change your schedule. If equipment breaks, there is often a replacement that can be used. It might cause a slight delay, but it’s unlikely to disrupt an entire day’s work. The same isn’t true if a work’s vehicle breaks down. You need to get to and from the job or site, primarily to transport workers and equipment. If your transit van breaks down, you might find it difficult to get in for a repair in a busy city like London. If you’re moving from one part of London to another, it’s important to make sure you book the right removals service. A lot of companies will suggest using a large vehicle to complete the move in one go. This can sometimes be cost-effective and seems quicker. However, sometimes it’s more expensive as you’re hiring the vehicle, sometimes for an entire day. Being a landlord can be a rewarding job, but it’s not a simple one, especially if you have several properties. Like most modern business sectors, being a landlord now means you can partner with other companies to work towards a common goal. Much like sharing an office space with a like-minded company, working within a partnership can help improve your efficiency, as well as increase your business network. A landlord’s job in London is never done. Like most capital cities, the rental prices are high but so are the tenants’ expectations. That means it helps to have reliable companies to work with to improve your own company’s services. When you start looking for a company to book for your next relocation, it’s important to know beyond doubt that they’re reliable. List down some questions that will help you find the right company; Are they easy to find online? Equally important, do they have good reviews? Is there company accredited? Moreover, can you contact them directly at any time? If you’ve relocated before you’ll know that it rarely goes smoothly and that there’s often gaps between moving dates that can cause issues with your furniture and possessions. You might find your ideal home or apartment just to learn that the current owner hasn’t found a place to move into. There might be a gap between when you need to move and their move. At times, this causes deals to fall through, and you might be faced with losing your perfect home because of complications with moving dates.